Online media publisher Coconuts has launched a paywall on its websites which limits readers to 15 free articles per month, along with a new subscription service called COCO+. “We believe there is a community of readers that wants to actively choose what to read or watch, not passively consume content selected by formulas. We believe that community is you, our readership,” the statement said. The COCO+ membership gives readers an unlimited subscription to the website’s content, exclusive sneak previews of Coconuts TV videos, members-only giveaways and a private monthly newsletter. It also gives entry to an exclusive Facebook group meant for members. Speaking to Marketing, Tara Chanapai, marketing director for Coconuts Media, said that COCO+ is all about depending less on the “constantly changing whims of Facebook”, and building a revenue stream directly from the platform’s most fervent readers. “As Facebook increasingly becomes “pay to play”, we think this will position us better for the future,” Chanapai explained. She added that advertising will continue to be a key revenue stream for Coconuts and the COCO+ Membership program will only benefit the publisher’s advertisers. This will allow for a new suite of direct marketing opportunities to members including giveaways, event sponsorships, and email newsletters. “Because our paywall is metered and the vast majority of our readers will never hit it, we do not expect our audience size to decrease at all,” Chanapai added. In a conversation with Marketing, Chloe Neo, managing director at OMD Singapore said the success of a subscription model would depend on the perceived value of its offering. “In this age where there’s ready and, in most instances, free access to entertainment and news, consumers control what and where they consume these information,” Neo added. The success of a subscription-based model depends largely on the perceived value exchange the subscriber has. From personalised app experience to uninterrupted viewing, the higher the perception of subscription content as differentiated, unique or valuable, the higher the value exchange and in turn likelihood of subscription. This is especially for readers who want first hand news which is fast and credible, Neo explained. “Subscription models also work better for content news sites which are regarded as credible, but this may not be the case for news portals which provide ‘fast and disposable’ news content,” Neo added. Also weighing in was Jason Tan, head of strategy at Zenith Singapore, who said with the move towards a paywall, couple with its “active secession from the land of ‘garbage content'”, Coconuts is now holding itself to a very high bar of content quality. 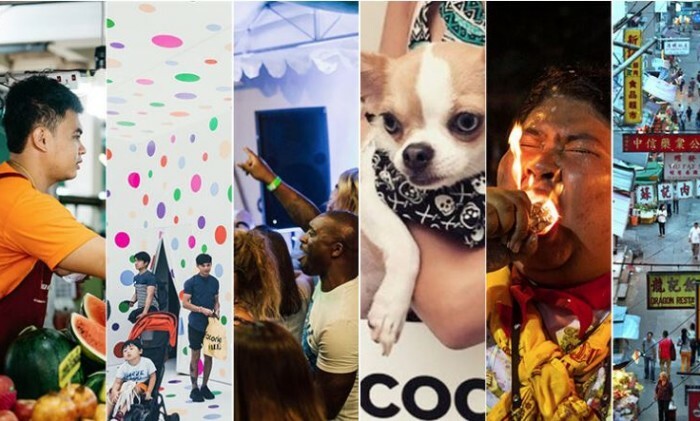 “By declaring that ‘the others’ have lowered quality to pander to the Facebook algorithm and lowest common denominator, Coconuts now needs to demonstrate that their COCO+ membership delivers quality content worthy of the US$5 membership,” Tan explained. He added that the challenge here is not the absolute subscription amount, but more of how to wean audiences off free content that might be sub-standard in quality. In the case of subscription models such as Netflix, the company had to plough billions into original production and awards in the process. As such, the true test right now, Tan said, is whether or not the sophisticated audience that Coconuts believes forms their 2 million strong community will choose it as their paid news channel of choice. “While it is true that an advertising-based model is no longer a sustainable model for many news organisations, I don’t believe a subscription based model is the best solution for Coconuts either. Deepening their brand extension into live events (like with Yum Fest) and extending into platforms such as Netflix would be a more sustainable model,” Tan added. Would you "swipe right" with approval for this campaign?.. The clients are Huawei Singapore, Unicurd Singapore, NTUC Income and Disney Studios Southeast Asia. ..